If you are looking to embark on a career as a therapist specializing in facial treatments, our VTCT Level 3 Certificate in Electrical Facials is designed to equip you with the knowledge, practical skills and industry-required qualification to be able do this with confidence. This qualification can be completed in as little as 16 weeks but you have up to 12 months to fully complete the course. Much of the qualification is completed as home-study, including written and practical coursework making this an ideal route for those who wish to study flexibly around other commitments. The practical training days required for the course will run from 10am – 4pm, although we ask students to arrive at 9.45am to ensure a prompt start. You will learn the theory of the treatment firstly, and spend the majority of the training days acquiring and demonstrating your practical skills, with a short break for lunch. Once you have completed all training and coursework, you will arrange to attend a multiple choice written assessment day and practical assessment days to achieve your VTCT qualification. For more detailed information on the structure of this qualification, please call to speak with one of our friendly Course Advisors on 0800 999 2277. 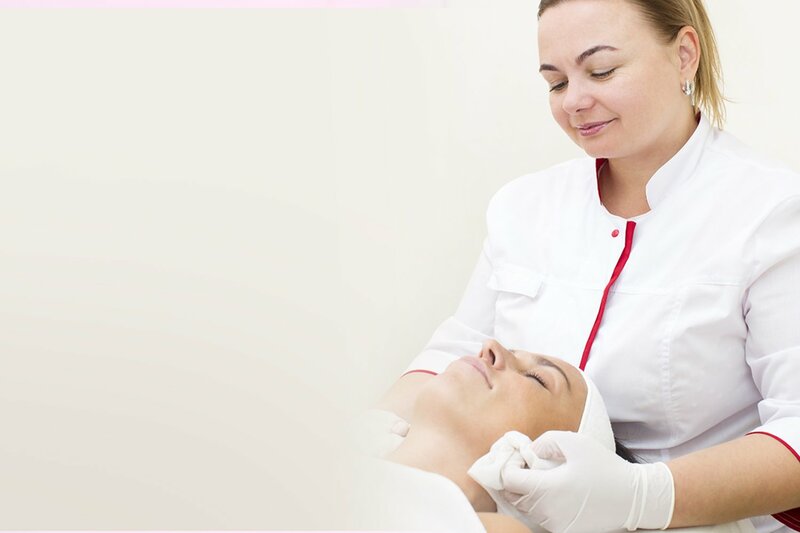 Our VTCT Level 3 Certificate in Electrical Facials course will enable you to learn the fundamental skills to offer advanced facial treatments, increase your employment prospects and earning potential as you will be offering a varied range of facial processes, including the popular microdermabrasion treatment. It is an excellent follow-on course for those who have already completed VTCT Level 2 in Facials or indeed Level 2 in Beauty Therapy and are looking to take their knowledge of facial massage and skincare treatments to the next level. Whilst you are perfecting your practical skills during training, you will also be consolidating your theoretical knowledge with our comprehensive study materials, answering written questions in your electronic workbooks to submit as coursework. Our assessment process will ensure that your techniques, from hygiene requirements to attention to detail, are at a satisfactory industry level, and re-affirm the skills learnt during your practical training. This exciting course is hands-on, provides you with in-depth detail on a range of facial treatments, and it is designed to prepare you to begin your career within the industry. The qualification not only provides you with extensive career opportunities, it is also internationally recognized and demonstrates your ability to work to an industry-standard level of practice. Before booking onto this course, you are required to have trained and qualified within VTCT Level 2 Certificate in Facials or VTCT Level 2 Diploma in Beauty Therapy (if you do not hold this already or wish to query an equivalent qualification, please call us for more information). You are required to give and receive treatments as part of this course, so will be required to remove your make-up during the course. Students should also remove eyelash extensions before attending for the course. You must not have received any cosmetic procedures such as skin fillers within the 12 weeks prior to attending the course. We do provide study materials to assist you in completion of your written coursework & in preparation for your assessments. Students will require products/tools at home and to arrange models to complete their coursework/assessments. Our Support team are on-hand to contact by telephone or email throughout the duration of your course to answer any questions you may have and guide you through the process. When you have successfully completed your training course(s), you will receive a diploma certificate issued by The Beauty Academy accredited by ABT. This not only demonstrates your commitment to the training, but also allows you to obtain Public Liability insurance so you can start offering treatments to paying clients from home or mobile. Once you have completed your assessment days you will also receive your VTCT qualification certificate (this can take up to 12 weeks to be released from the awarding body VTCT). Once you have completed your practical training day with us, there is no additional work to be completed. 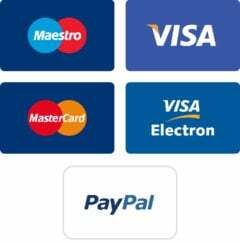 The Beauty Academy diploma certificate will be sent to you within 1-2 working days and you can then begin working from home or mobile once insurance has been obtained. Aside from your practical training, your qualification course also involves home-study and assessments as required by the awarding body VTCT. The qualification requires written coursework to be submitted and marked by an assessor before you can be progressed to the assessment stage. At the time of booking your qualification, you will be sent your study materials (including: workbooks; Student Study Guide; revision notes and our Student Handbook) to get you started with your written coursework, which must be completed at home. You do not require any access to the electrical facial / microdermabrasion machines at home in order to complete this course. You will complete all required practical work / assessments at the training centre. Throughout your studies, our Support Team are on hand to answer any of your questions via email or telephone at any stage during the course of your qualification. Once you have received your certification from the awarding body VTCT stating your qualification achievement, you are also able to work for larger companies within the industry, including: spas; hotels; salons and cruise-ships etc. 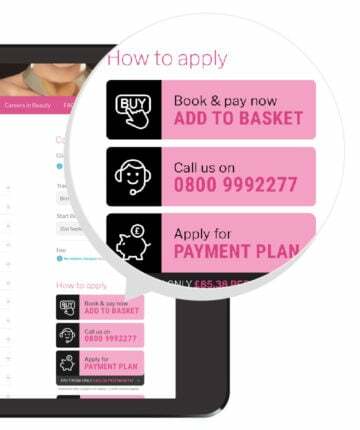 An advantage of completing this follow-on qualification to top up an existing VTCT Level 2 Qualification in Facials or Beauty Therapy, is that it may enable you to go onto further training in aesthetics* including laser treatments with some providers. You will also have advanced skills in facial massage & skincare treatments making you a valuable asset to any salon. The career opportunities are vast! You may consider completing a further qualification to further your career opportunities within a specialized sector of the industry. To learn more about the qualifications that we offer, please click here.